Melbourne’s Rebels earned their first Super Rugby victory in Sydney by beating the Waratahs 17-21 at Allianz Stadium. The Rebels victory comes on their sixth visit to the Sydney Stadium and is the Melbourne side’s second victory over the Waratahs in 11 matches. All of the Rebels points were scored in the first half and they were kept scoreless in the second half by the Waratahs but the Sydney side had left themselves too much of a deficit to catch up. The Waratahs were their own worst enemies with first-season coach Daryl Gibson calling their first half “rubbish” before they put their game together in the second period to almost pull off a come-from-behind victory. Once again the Waratahs conceded a big lead at home like they did against the Otago Highlanders two weeks ago and were unable to pull back the deficit in the second half. The Rebels showed their continuing improvement, winning a match they would have lost in previous seasons with their experienced players stepping up in the pressure moments of the second half. 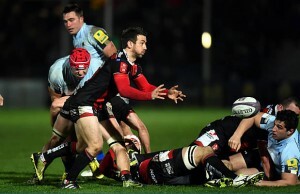 “We hung in and got the job done,” Rebels skipper Nic Stirzaker said. Out-of-sorts Waratahs never got into any rhythm in the opening half, constantly dropping the ball and making wayward passes to give the Rebels the initiative. Fly-half Jack Debreczeni scored out wide after multi phases in the 21st minute and another try by prop Toby Smith put Melbourne ahead 15-3 after 25 minutes. 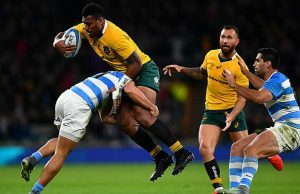 The Waratahs lost Test fullback Israel Folau for the rest of the half in the sin bin after he was yellow carded for playing the ball off the ground with the Rebels on the attack. Debreczeni added two more penalties to send the Rebels into halftime with a commanding lead and with the Waratahs having it all to do. 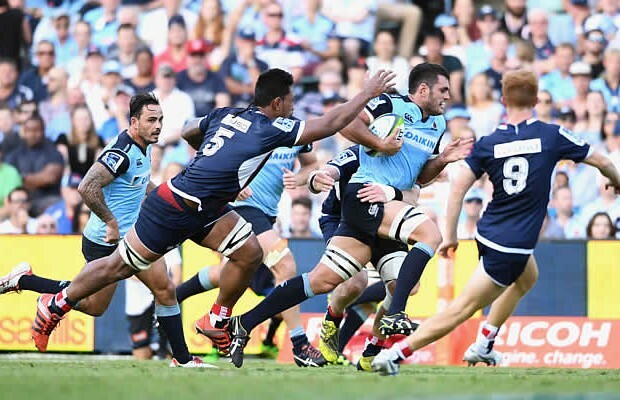 Converted tries by Jack Dempsey and Matt Carraro gave Waratahs fans hope of victory when the home side trailed by four points with 10 minutes remaining, but the Rebels marshalled their forces to repel the comeback. The Rebels had only beaten the Waratahs once before in 2013 in Melbourne but this was a significant result for the relatively new Australian franchise. Next week in Round 7 both teams have a bye but they return in Round 8 and the Waratahs host the Brumbies in Sydney and the Rebels host the Hurricanes in Melbourne.